BuzziChandelier creates a bold focal point while adding acoustic softness to a room. Two layers of sustainable BuzziFelt combine over an LED light source. 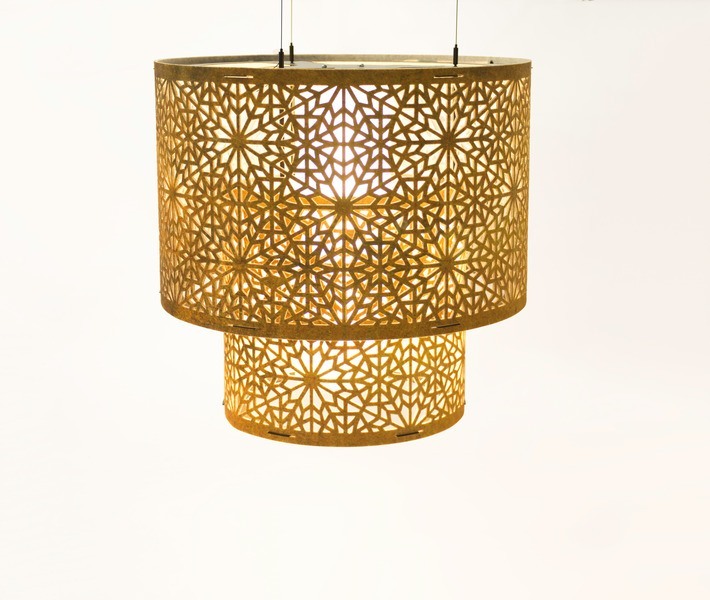 This hanging pendant can be used as a singular design statement or in multiples for added impact. You have the option of a felt or printed felt shade that is either plain or perforated. Additional options for lighting and cables are available.